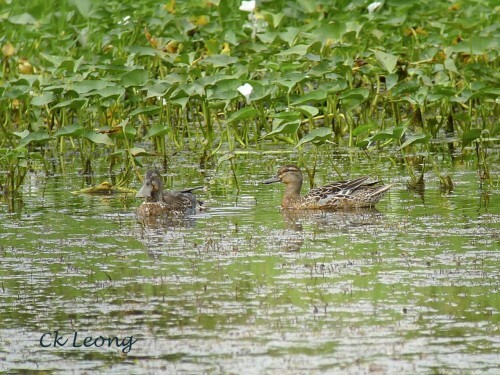 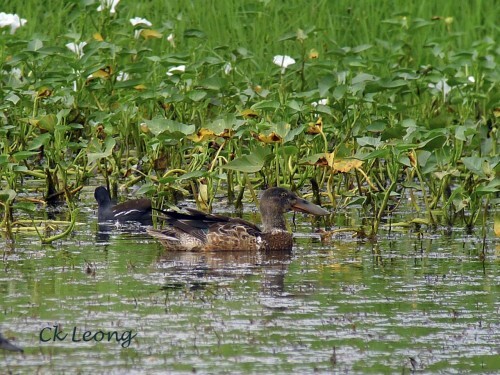 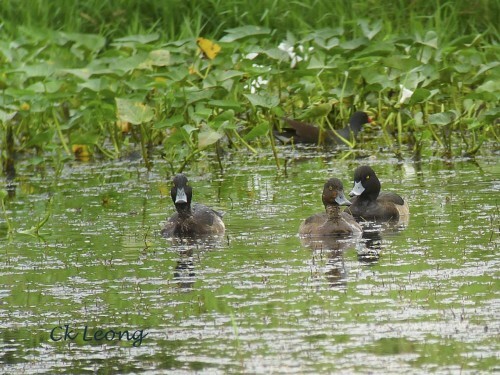 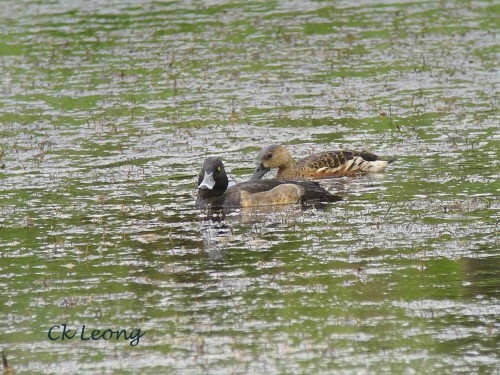 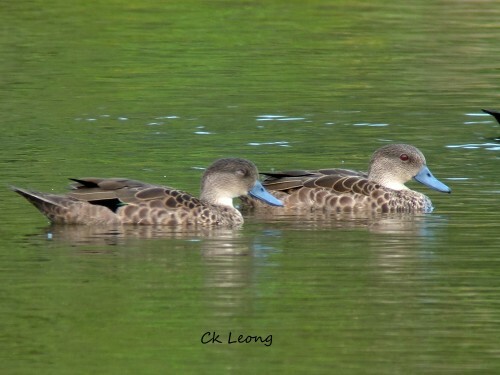 Our little piece of marshland in Tuaran continues to attract visiting waterfowl. 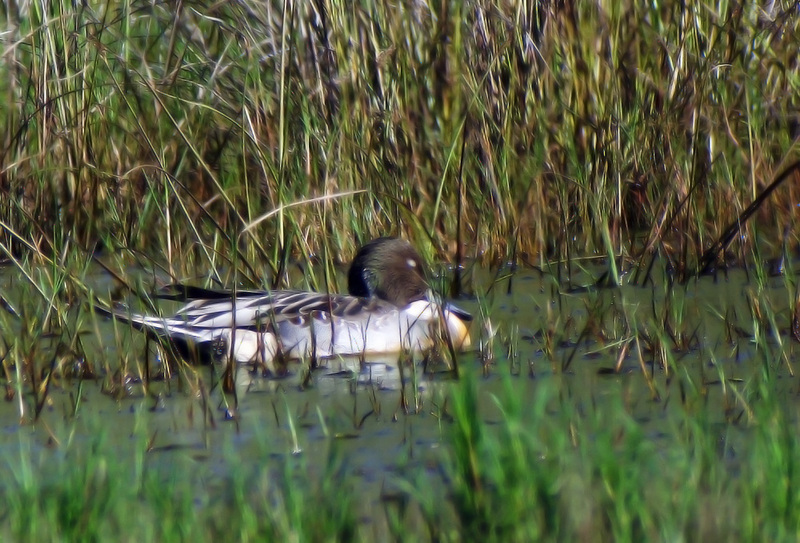 This male Northern Pintail Anas acuta seems to be quite at home amongst a group of Wandering Whistling Ducks. 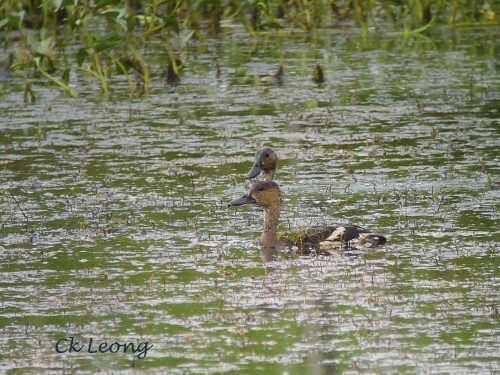 It only started feeding about two hours after sunrise. 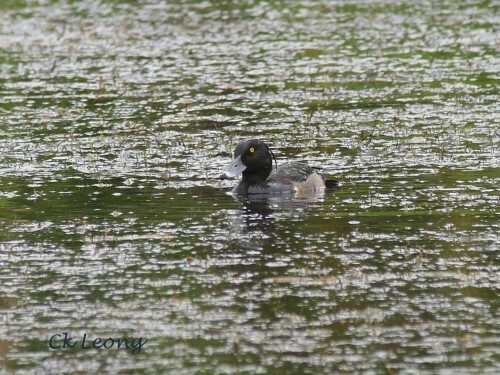 Later a brief visit by a couple of otters brought the whole duck community to a standstill. 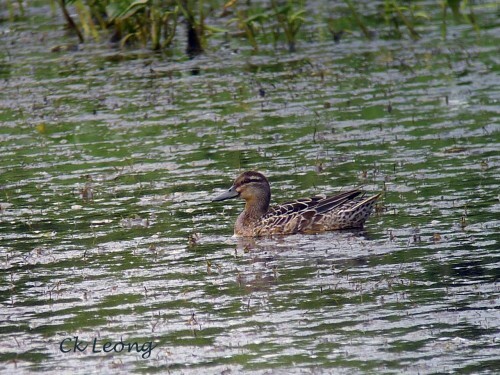 We were so captivated by the feeding industry of the Pintail that we quickly forgot about the Garganey and Northern Shoveler which were spotted earlier. Wonderful, these ducks.